It would be surprising if Mr Kiloh thought Cllr Kiloh would be part of a council not doing the best it can. But the facts are that a Band D Council Tax payer pays £137.61 a year to Battle Town Council. Not only is this 44 per cent more than four years ago but it is more than any other Parish or Town in Rother District. Now the council wants to borrow £600,000 partly to cover repair of the Almonry, which the council has failed to maintain properly, but also for a Grand Design development. The same applies to the sports pavilion. The £600,000 will be a burden for the next 50 years. What a legacy to leave the next generation! Mr Kiloh may be in a position to think the cost of running the council is just a few pennies a month. What about the young families struggling to get buy or those finding the need to use the Foodbank? £137.61 is a lot of money to them. I do not deny the town councillors have done anything but what they felt was in the best interests of “all”. 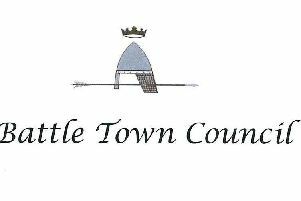 I think many people will think it is time to manage the Town Council’s affairs differently to ensure financial prudence and to do what is necessary, not what would be nice. If the District and County Council had increased their spending by the same percentage the Council Tax bills would be £390 higher.